Prince Philip’s police file has been placed in an inspector’s locked drawer, sparking fears that officers are giving him ‘special treatment’ following his crash. 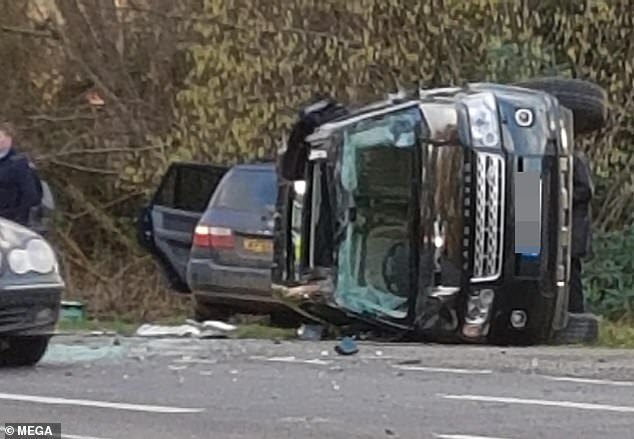 It is expected the Duke of Edinburgh will not be prosecuted for the collision at Sandringham last month, when his Land Rover hit another vehicle. The 97-year-old Royal has surrendered his driving licence but witnesses have reported their fears of a ‘deal’ being done after the incident. Victoria Warne was first on the scene of the crash and told The Sun that the police officer who took her statement said anything related to the crash was in an inspector’s office for ‘security reasons’. 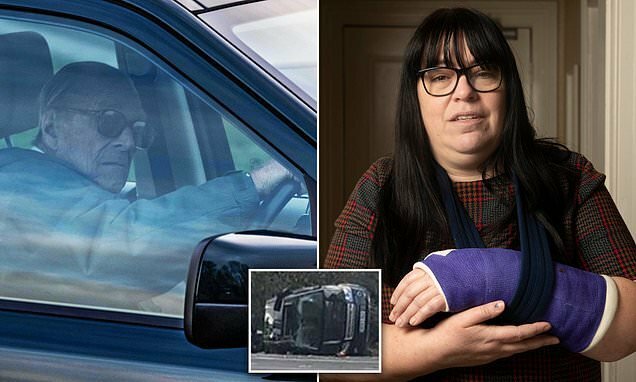 She added that the fact Prince Philip was pictured behind the wheel just two days after the incident was ‘appalling’ and ‘two fingers to the public’. Pictures from the scene revealed how the Prince was a split-second from slamming into the side of the car where a nine-month-old baby was sitting. Ellie Townsend, 28, and her child walked from the wreck with Emma Fairweather, 46, who was left with a broken wrist. 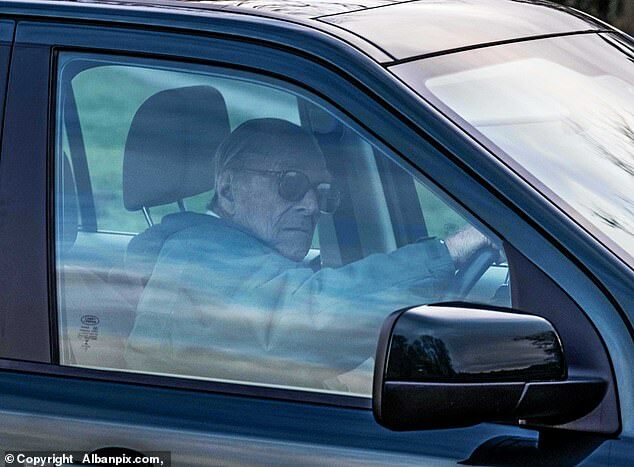 Prince Philip will still be able to drive on private roads at Sandringham and other royal estates despite giving up his licence after the crash. The Duke of Edinburgh voluntarily surrendered his driving licence just weeks after he flipped his Land Rover in Norfolk which sent two women to hospital. What is the legal limit on driving ages in Britain? The horror accident involving Prince Philip last month sparked a debate on whether he should still be driving. In the UK there are no legal limit on driving ages but motorists have to renew their licences at least 90 days before turning 70. After turning 70, drivers are expected to renew their licence every three years. 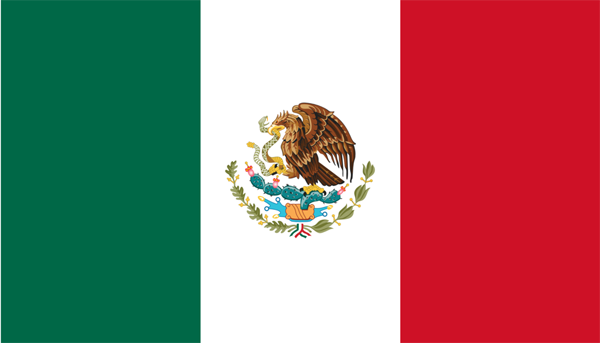 But a licence can only be renewed if the minimum eyesight requirement is met. 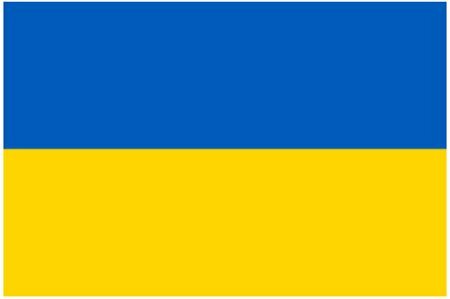 DVLA figures show that 100,281 people over the age of 90 hold a valid license. 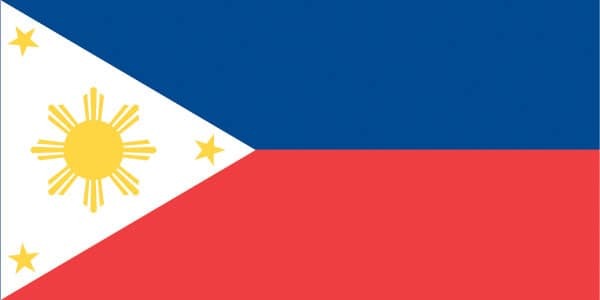 Only 248 people over 100 years own one. 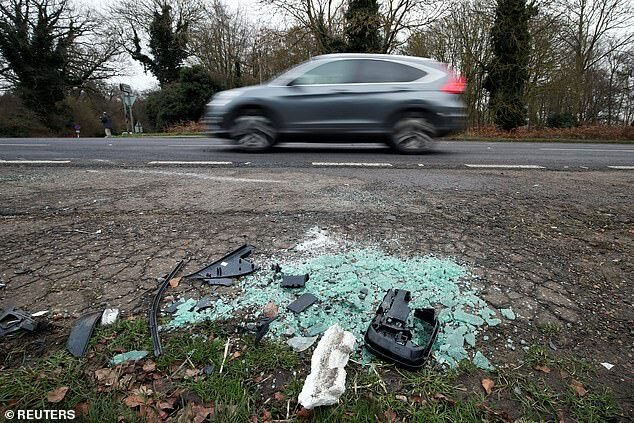 Motoring lawyers believe he may not be charged for careless driving because there is little public interest in bringing a ‘costly prosecution’ if he has given up his licence, according to the Sunday Times. But the 97-year-old will still be able to drive on royal grounds despite the woman involved in the car crash saying the ‘roads will be safer’. Emma Fairweather, 46, was a passenger in the Kia that was involved in the collision with the Duke’s Land Rover last month. 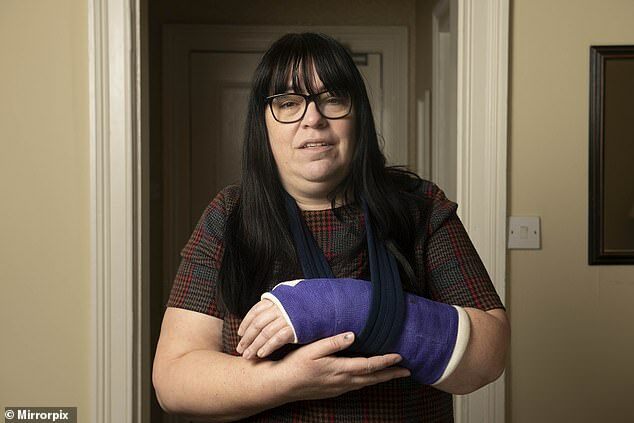 She broke her wrist in the crash and has said that the Duke’s decision is ‘sensible and the right thing to do’, before adding that it was a ‘shame he didn’t make the decision sooner’. A file has been handed to prosecutors who are now weighing up whether to bring a case against the Duke. Buckingham Palace confirmed Prince Philip relinquished his licence on Saturday. The 97-year-old apologised for his role in the accident after his vehicle hit another car before landing on its side. Ms Fairweather told the Sunday Mirror: ‘He’s making the most sensible decision he can. It’s a shame he didn’t make it a bit sooner but it’s the right thing to do. She also added that she has done nothing but cry’ this week after having an operation to screw a metal plate into her arm. The retired barrister who pulled the Duke from the wreckage said he might have been overly cautious giving up his licence. Mr Warne, who with wife Victoria helped free the royal and tend to the injured women driver and passenger, said: ‘He’s surrendering his licence but maybe the accident wasn’t his fault. We simply don’t know. 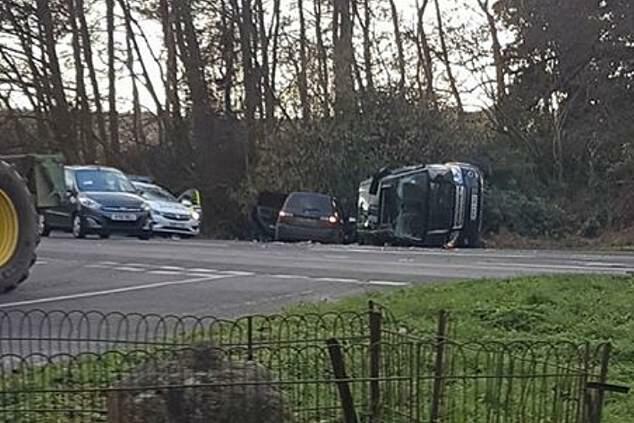 A Norfolk Police said: ‘We can confirm that the 97 year old driver of the Land Rover involved in the collision at Sandringham on Thursday 17 January 2019 has today voluntarily surrendered his licence to officers. We will follow the standard procedure and return the licence to the DVLA. The investigation file for the collision has been passed to the Crown Prosecution Service for their consideration. Witnesses revealed Philip was shaking and pleading ‘get me out’ after his Land Rover crashed while he was out driving alone without a protection officer. 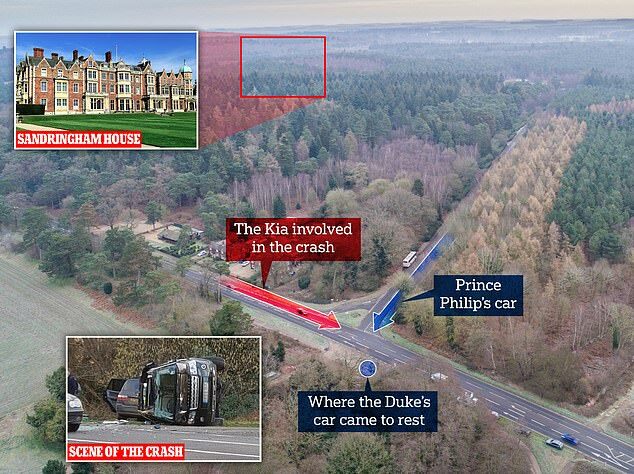 According to one eyewitness, the Kia, driven by a 28-year-old mother, ‘T-boned’ the duke’s car and ended up in a hedge with smoke coming from the engine. On January 21, Prince Philip sent her a letter wishing her a ‘speed recovery’ and that he ‘failed to see the car coming’, the Sunday Mirror reported. The sun was blamed for hindering his vision and he wrote he was ‘very contrite about the consequences’ of the collision. He said he was ‘deeply sorry’ and explained while he was familiar with the junction he could ‘only imagine’ the low sun stopped him seeing her approaching. The Duke appeared to admit responsibility in a letter to Ms Fairweather several days after the accident. In his 181-word typed letter, Prince Philip wished her a ‘speedy recovery from a very distressing experience’. 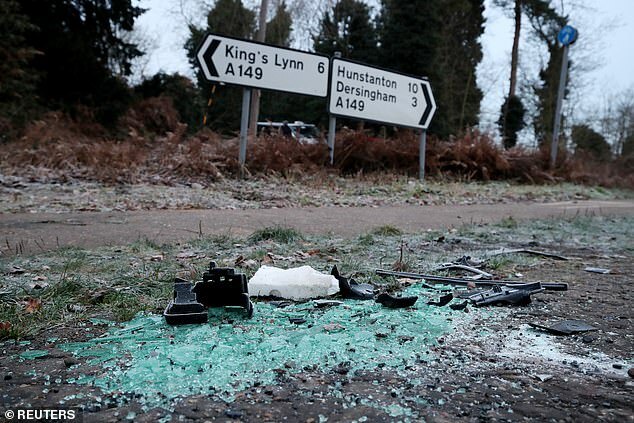 Two days ago, Norfolk Police confirmed they were still investigating Prince Philip’s crash on January 17 when his Land Rover rolled over after being hit by a Kia. The Duke, who has given a police statement, could be charged with careless driving. Prince Philip’s insurance premium could rise as high as £36,000 following his shocking crash earlier this week. He could now expect a car insurance premium as high as £36,000 when it comes to renewing his policy, according to an estimate by an insurance comparison site. One from Insure Wiser was £9,940 with a £1000 excess and Quotelinedirect offered a policy of £36,499. The Duke of Edinburgh’s date of birth and London address was used in the quote as well as details of Thursday’s smash.